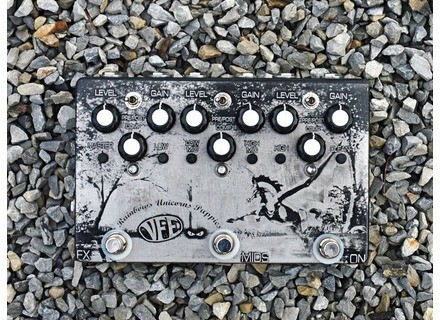 RUP, Other guitar saturation effect from VFE Pedals. 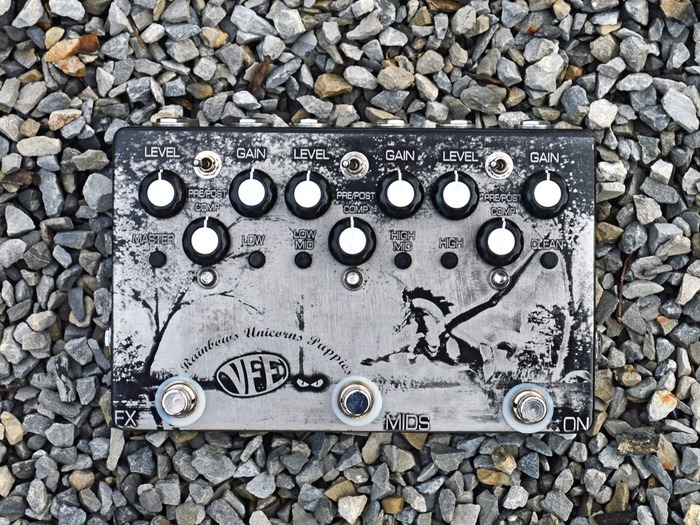 VFE Pedals is calling amplified instrument players to participate in the KickStarter campaign for its upcoming RUP multiband distortion stompbox. RUP is, according to VFE Pedals, the most ambitious project for that limited-ressources Boutique manufacturer. This fully analog distortion pedal is designed for use with any amplified instrument (guitar, bass, keyboards, violins…). The incoming signal splits into three Low, Mid and High bands, and you can control the level, gain and compression for each of them. You can also adjust the frequency range for each band, including high and low mids. The stompbox also features a 3-band EQ, footswitch pre/post-gain effect loops for each band, Clean and Master knobs, a pre-gain Mid Boost footswitch and a true relay bypass. You have one more week to crowdfund the RUP pedal at KickStarter, VFE needs around $1000 more to complete the project and launch the pedals starting from January, 2015. Pricing starts at $169 (or less to receive goodies), two Disco Pink and Satin Black finishes are available along with customization options. New Gibson Explorer Blackout Gibson introduces an all-black Explorer guitar pushed to the extremes of shredding with a dual Dirty Fingers humbuckers.